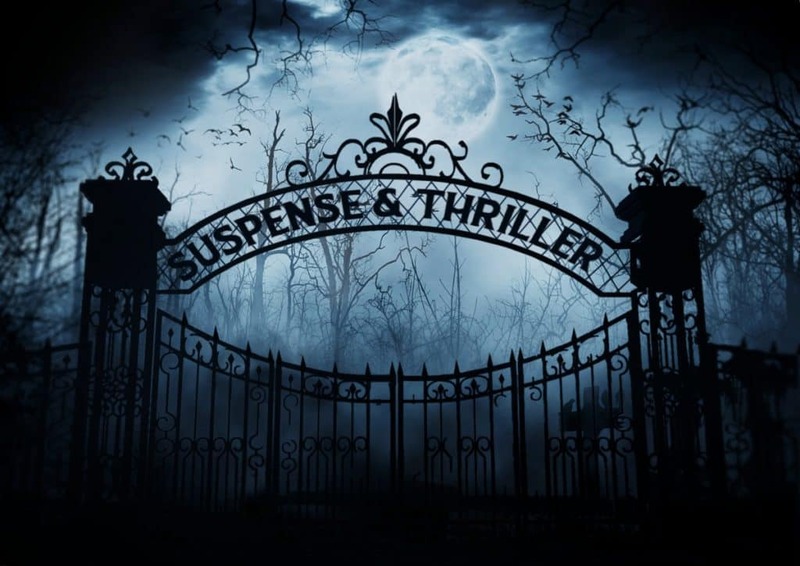 Writing a suspense thriller is different than writing horror or any other genre. For one thing, to write a suspense thriller, it’s important to use different viewpoints. For another, suspense thrillers are very intense. They require a lot of planning and a lot of patience. You may become frustrated writing it, and that is perfectly okay. It takes lots of work, and most people do get frustrated at some point. So, without further ado, the most important elements to writing a suspense thriller. The key to writing suspense thrillers is to give the reader foresight. Let them see the story from both the protagonist’s point of view and the antagonist’s point of view. By giving the reader access to the stories development from both point of views, they’ll know what is going to the protagonist before the protagonist does. The reader will see how the story connects and the perils ahead. This also causes the reader to become emotionally invested in the protagonist and the reader will be constantly feeling tension as they see the disaster up ahead. Another key way to build suspense and thrill is the use of the clock. The protagonist only has a few days or even hours to put a stop to the antagonist’s plan. Then, make sure the clock seems to be on the antagonist’s side. This create the thrill and suspense needed in a suspense thriller story. After all, how terrifying would it be if something like that happened to you? Now, keeping the stakes high doesn’t necessarily mean that it needs to be the world at stake. It could be anything that’s super important to the protagonist. Maybe it’ their parents, their children, siblings, or the protagonist’s best friend. As long as it’s something very important to the protagonist, and can cause readers to be at the same time sympathetic to the protagonist, and horrified with the antagonist’s plan. The reason you want to write something very important to the protagonist in danger is because this will make the reader understand the lengths the protagonist is willing to go. After all, most readers will have family, and they will be in agreement with the protagonist’s journey. The protagonist should be working under insurmountable odds. They need to have as many obstacles as possible in order to achieve their goal. Make it crazy. Write every problem you can imagine that the protagonist would have to go through, and make them go through it. They need to constantly feel the pressure of saving the day, and they need to feel like the situation is hopeless. It adds believability to the story if the protagonist gives up for a time. Just make sure that the protagonist doesn’t give up fully. They become inspired and continue to reach their goal. The antagonist needs to be constantly throwing things at the protagonist. They need to be conniving an clever, and always attempting to one-up the protagonist. When writing a suspense thriller, the antagonist should never give up on their plan. They need to be focussed on achieving their goal, and defeating the protagonist in their goal. Just beware cheesy plans. You never want the antagonist’s plans to be cheesy. Pile on the problems. Give the protagonist more problems than they can handle. Make them work increasingly hard to achieve their goal. The hero has to be stretched paper thin, and they have to stay stretched paper thin. If you’ve ever seen the old movies with clowns, how they’ll be on a unicycle, juggling with one hand, and spinning plates with the other hand, that’s what it needs to be like for the protagonist. To make matters worse, the antagonist should constantly be adding new plates for the protagonist to spin. By the end of the book the protagonist should just barely be able to keep the plates spinning. Nothing in life goes perfect for everyone. There are always little challenges that people have to overcome. It should be the same for both your protagonist and antagonist. They should have unexpected things happen to them that complicate matters. And yes, even the antagonist should have to deal with problems. In fact, maybe an unexpected problem is what causes the antagonist’s plan to fail, or the protagonist to make it in time to defeat the antagonist. Or maybe the sheer pressure of the protagonist on the antagonist causes the antagonist to need to improvise. That would be plenty thrilling and suspenseful. And remember, the antagonist and the protagonist may be locked in a do or die battle, but the rest of the world isn’t. You can use this fact and have outside forces interfere. For all we know, maybe the mailman arriving when he did changes the outcome of the story. You can even have holidays and neighbors interfere. This adds a level of believability to the whole story. You can’t just use a boring, overused, paperthin, and average villain. The antagonist needs to be special. They need to have a unique backstory, a reason to hate or be after the protagonist, and have characteristics beyond normal people. The villain shouldn’t just be sitting on top of a volcano, petting a cat, wearing an eyepatch, and laughing maniacally. It may sound silly, but when some people write villains, they will just do that. They won’t give the villain a reason to be a villain, or a intriguing backstory. These are the biggest mistakes suspense thriller writers can make. After all, who would want to read a story with a boring villain. And you don’t have to go into every reason the villain is a villain. Just make sure the villain has unique characteristics, and a different personality.